Hunting shirt. Traditional Shirt Half Sleeve. Colour olive. 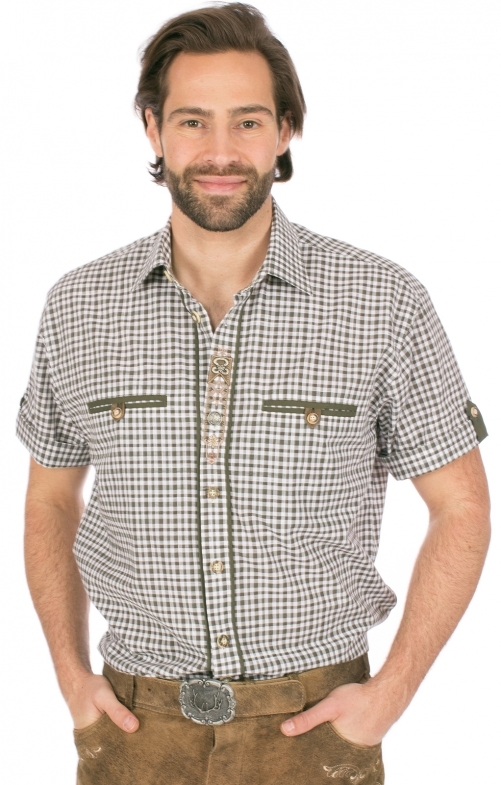 It is the typical colours of the hunt but also as a summery casual shirt or as a hiking shirt, makes this check shirt very well. Equipped with 100% pure cotton, it is optimally equipped for active use. The check shows well-groomed sportiness and the many processing details show the love of the costume, the love of tradition and the love of beautiful details. Alles perfekt! Sitz, Farbe, Material. Genial.